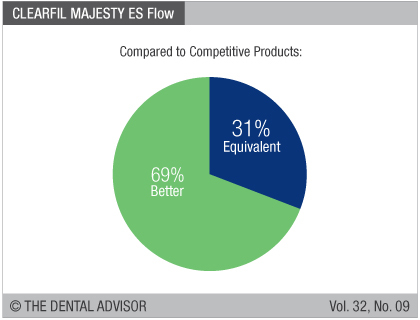 Page view compliments of Kuraray Noritake Dental Inc.
CLEARFIL MAJESTY ES Flow is a universal flowable composite indicated for use in all classes of restorations. This composite contains 75% filler (by weight), including submicron fillers treated with a silane coupling agent. 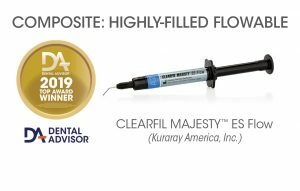 CLEARFIL MAJESTY ES Flow is supplied in 2.7 g (1.5 mL) syringes and is available in shades A1, A2, A3, A3.5, A4, KA6, B1, B2, XW, and W. CLEARFIL MAJESTY ES Flow can be placed in layers up to two millimeters deep and has a curing time of 10 seconds with an LED light with an intensity of 1100-1400 mW/cm². 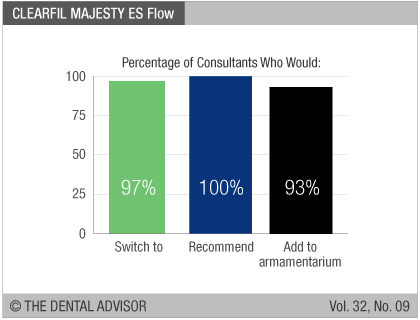 CLEARFIL MAJESTY ES Flow was evaluated by 29 consultants in 909 uses. 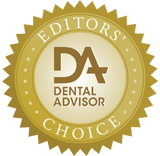 This universal flowable composite received a 98% clinical rating. Having a universal composite with a flowable viscosity can often be a clinical advantage. 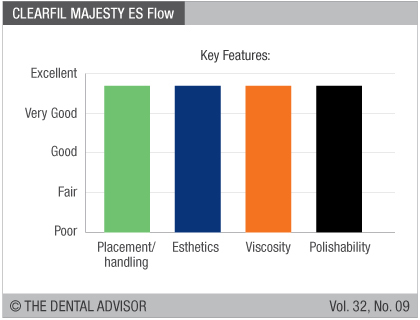 CLEARFIL MAJESTY ES Flow has excellent esthetics and polishability when used as a filling on the surface. It can also be used as a base or liner under restorations. The viscosity allows placement without running or slumping, and it adapts readily to cavity walls and flows into narrow areas and undercuts. The composite is fairly translucent and blends imperceptibly with enamel. 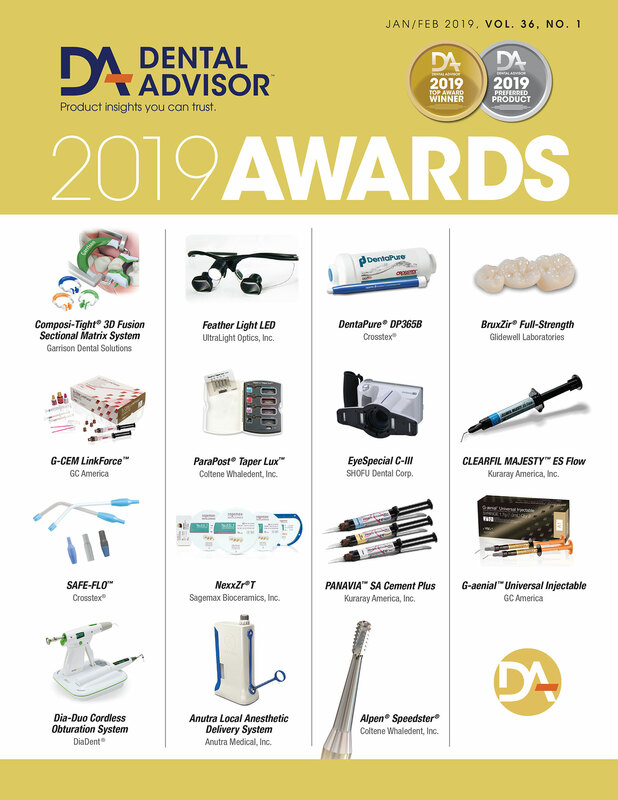 In cases where no occlusal adjustment or finishing is needed, the surface of CLEARFIL MAJESTY ES Flow can be wiped with alcohol rather than polishing with rotary instruments. This produces a glossy surface and saves time.